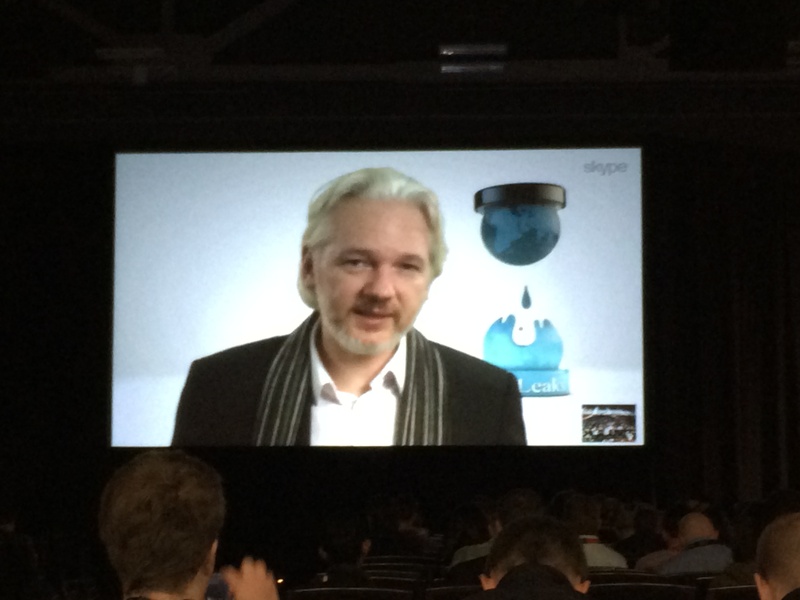 At SXSW today, WikiLeaks founder Julian Assange Skyped in from the Ecuadorian embassy in London to take part in an hour-long Q&A session. While the main topic of the discussion – government surveillance of the Internet – and his opposition to it, was unsurprising, Assange had some interesting points worth sharing. He said that the most important transition of the past decade has been the politicization of the Internet, as demonstrated by the likes of WikiLeaks, Edward Snowden and Glenn Greenwald. He noted that Greenwald and other national security reporters have had to leave the US for countries that are more amenable to them to avoid the fear of being arrested at any time due to the “growing militarism in the USA and UK.” However, he pointed out that this allows them to do work that is even more powerful than they did in the US. On his enforced exile in the Ecuadorian embassy to avoid deportation to Sweden where he faces sexual assault charges, Assange described his situation as “a bit like a prison,” although “arguably prisoners have it worse due to the restrictions on visitors (at the embassy)… I operate in a situation that’s any security reporter’s dream,” he said, as he’s free of subpoenas and police interference. He criticized the standard journalistic practice of approaching subjects of stories for comment ahead of publication, as it simply gave them time to spin a counter-argument to the allegations. While this may annoy many journalists, it will come as no surprise to anyone who followed the unredacted release of the US diplomatic cables in 2010 and 2011. While the content of the session wasn’t Earth-shattering, it amused us to note the irony that Assange was criticizing NSA surveillance while his head was being displayed next to a Skype logo.